This is a question we are often asked. 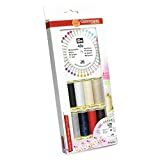 What thread do you use? 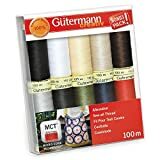 Well we use Gutermann thread. 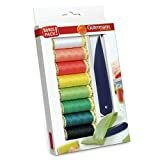 I have used it for my sewing projects for many years and I have always had good results. There are other good quality threads available such as Aurifil. But old habits are hard to break when you like something and it gives you the results you need, so why change. I haven’t ever had the thread split or shred on me, and I don’t get a lot of fiber lint as I have had with some other brands of thread. When you have problems with your sewing machine, such as skipped stitches, it will often be the needle you are using or the thread. That’s why it pays to uses a reputable brand of thread. After all if you are going to take the time to make that beautiful quilt you want to be sure it is sewn together with a good quality thread. 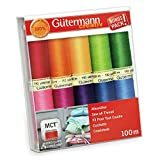 If you think you would like to try some Gutermann thread, Amazon have a handy 26 spool thread box that holds 26 (obviously) of their Polyester Sew-All-Thread. It includes the basic and primary thread colors. The spools come in a sturdy, clear, reusable storage box so you can see the colour you want at a glance. Which is nice and handy. 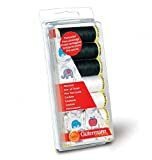 We use the Sew-All-Purpose thread for all our quilting and I also use it when taking up jeans or just general sewing and I haven’t ever had any problems with it. 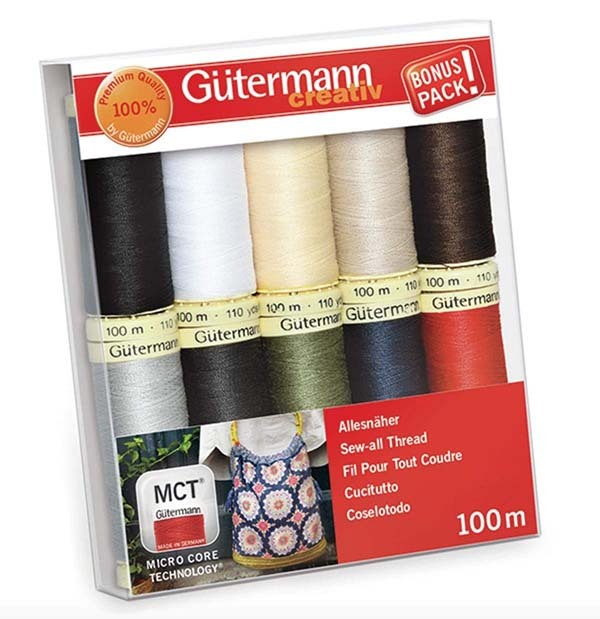 You can also use if for hand sewing, fine ornamental and decorative stitches and seams. 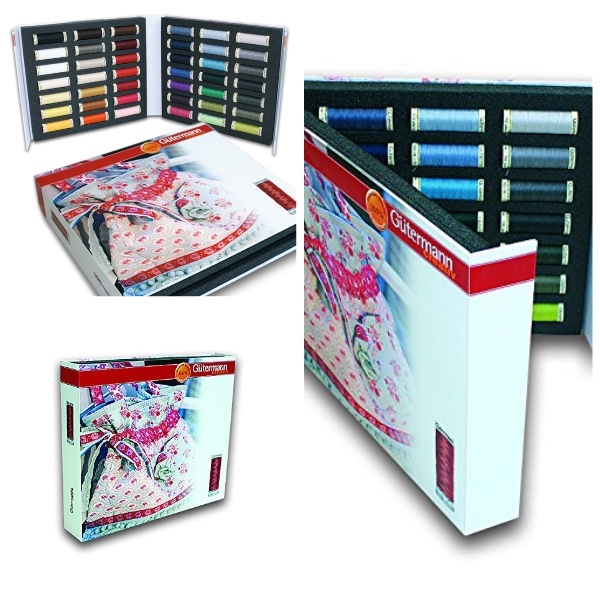 There is also a Sewing Thread Notebook available that contains 42 shades of Sew All Thread. It comes in an attractive, hardbacked wallet and would make a great gift for a sewing or quilting friend. Or there is the Sew-All Classics Set that has 10 x 100m spools of thread. These are the basic colours that are pretty useful for most projects. And don’t forget you can also buy single spools of thread in the color you need.